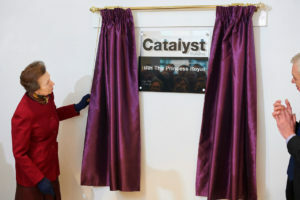 Catalyst, the new £27m home for the library, careers and student services functions was officially opened last week by Her Royal Highness The Princess Royal. 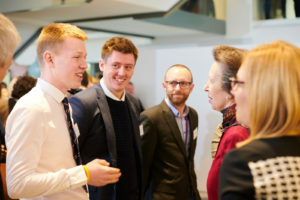 During her visit, Her Royal Highness had the opportunity to learn about research work in the Biology department which focuses on the eradication of major global health threats. This included work on insecticide resistance in mosquitos and research aimed at developing new antibiotics from strains of Streptomyces bacteria.